Give your carpet a clean bill of health. Fall into relief with Dallas’ best carpet cleaner! Dr. Clean is the best in Dallas to remove allergy causing dust and dirt from your carpet. If you’re like most Dallas residents, you’ve already begun suffering with fall allergies. In addition to reaching inside the medicine cabinet for some much needed relief, think about calling another doctor…Dallas’ own Dr. Clean Carpet. Most people don’t initially think of having their carpet cleaned to help relieve their allergy symptoms. But just think about it. When we’re outside, dust, dirt and allergens get trapped in the soles of our shoes. As soon as we walk in the door, we track all of that onto our carpet. 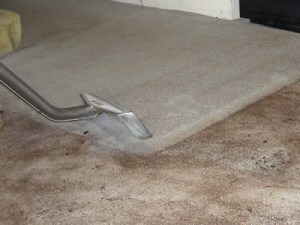 Even with regular vacuuming, all of these allergens build up and get trapped into the fibers of the carpet. What you need is a cleaner carpet. Otherwise, just walking around in your house can trigger an allergy attack. With no relief – – even inside your Dallas home, it’s time to call the doctor. But, who should you call? When you’re sick, you don’t want to settle for just any doctor. You want the best. After all, don’t you deserve the best? So, why should it be any different for your carpet? Don’t let your allergies blur your vision so you can’t see which number to dial. With one simple call to Dr. Clean, the best carpet cleaner in Dallas will be coming your way. Call 972-641-9400 before time runs out!